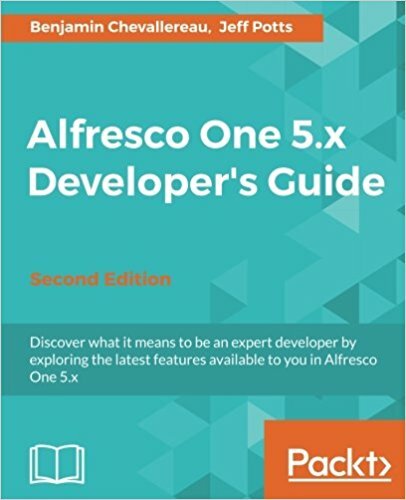 Alfresco has recently released its latest version for Enterprise and Community editions with great new features that makes the end users lives easier. Alfresco has changed quite a bit the look and feel of their main user interface (Alfresco Share), making it cleaner and nicer letting the user focus on the importan content of the page. As the screenshot below shows some management buttons have been moved or replaced by icons, the CSS has been changed to make it sexier, etc. Alfresco added new menus to the menu bar too, easying the access to certain areas. Alfresco Sites' dashboards and layout has also changed. The navigation bar has been moved to the right and hid some area under the "More" menu. The document library has been refactored adding new views such as Gallery View, Media View, Table View and some others apart from the pre-existing Detailed and Simple views. The user has the option to set it in Full Screen mode. Up until this version, the user needed to download each and every item she wanted to one by one. With this version the user can not just download several files at the same time compressing them in a ZIP format file, but she can also download whole folder structures. New seamless integration with Google Docs. No need of a "system" google docs account anymore, using your own google account. Quick share functionality to share documents with external people or in social networks, not needing an Alfresco user account to access it. This was a highly demamded feature only available in Alfresco cloud and brought to Enterprise and Community editions now. Once shared the document will be marked as shared and anyone having the link will have access to it. Unsharing the file is easy by just clicking the Unshare option. With the new UI framework it is easier to develop and customize the Alfresco Share via widgets and extensible hooks avoiding code duplication and supporting easier the upgrades. There will be a future blog post explaining how to extend and customize the Alfresco Share interface, with examples and code snippets. Along with the improved Alfresco come the improved modules. We already highlighted the improved Google Docs integration but there are some other major enhancements in other modules such as Records Management (RM) or the Desktop Sync client. The RM module has specially improved in the usability being able to declare and access records from the Document Management part , we will write about it in another post. Alfresco has drastically changed the Administration console in Alfresco Share. What it used to be the Administration console has been simplified to content administration, leaving all the system administration functionalities in a separate stand alone page. As you can see new features have been added to this page such as clustering, system settings, authentication management, etc. 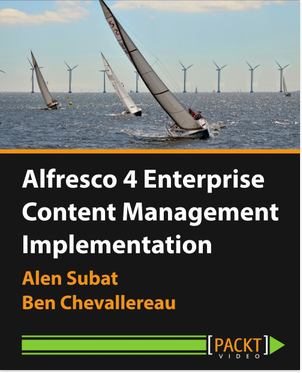 making it easier to system administrator to deal with Alfresco using a User Interface instead of JMX or XML files.